“Bug Hunting Millionaire: Mastering Web Attacks with Full-Stack Exploitation” was a really great course. The hands-on approach and the exercises were very helpful. Dawid is fluent in explaining difficult attack scenarios and mechanisms. Explaining a difficult topic as simple as possible is a very impressive skill which Dawid certainly masters. Having followed David’s “Bug Hunting Millionaire: Mastering Web Attacks with Full-Stack Exploitation” training, I was able to fully understand each topic he explained during the course. David is a creative and skilled hacker with the ability to teach and explain others what it’s really like to be a bug hunter. Every case in the training was proven and shown by a hands-on example which he prepared beforehand. I recommend everyone this training, as this content is pretty unique ! 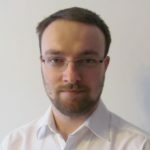 Dawid Czagan (@dawidczagan) is an internationally recognized security researcher and trainer. He is listed among Top 10 Hackers (HackerOne). Dawid Czagan has found security vulnerabilities in Google, Yahoo, Mozilla, Microsoft, Twitter and other companies. Due to the severity of many bugs, he received numerous awards for his findings. Dawid Czagan is a founder and CEO at Silesia Security Lab – a company which delivers specialized security testing and training services. He is also an author of online security courses. To find out about the latest in Dawid Czagan’s work, you are invited subscribe to his newsletter and follow him on Twitter (@dawidczagan). Contact me to discuss the details.